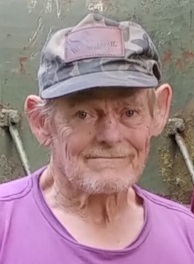 Dennis Kimball Smith, Sr., 71, of Liberty, Nebraska lost his battle with cancer on January 12th, 2019. He was born on January 3rd, 1948 in Benton Harbor, Michigan to the late Peter and Gladys (Hoskins) Smith. Also preceding him in death were his wife, Imogene and a son, Daniel Lee, in infancy. Denny was a car enthusiast, who loved tinkering around under the hood. He enjoyed spending time with his family, friends and his many dogs he's had throughout the years. He is survived by his children Dennis Smith, Jr, Nichol Durr (Jason) of Mishawaka, IN, Christopher Smith (Amanda) of Chandler, IN, Jody Smith (Stephanie) Tell City, Kristiann Franchville (Billy Thomas) of Cannelton, step-son Ronnie Keown of Florida; the mother of his children Mae Lynch (Larry), of Eckerty; sisters Harriet, Darlene, Sharon of Michigan and a brother, Mike of Indiana; grandchildren, Jonathan, Noah, Michael, LeaAnn, Brianne, Shane, Bailey, Levi, Taya, Ally, and Sean and great grandchildren, Jace, Raylan, Connor, Phoenix, Sylar and Lance Jr.
Visitation will be from 12:00 until 2:00 PM on Saturday, January 26, 2019, at Huber Funeral Home, Tell City Chapel with burial in New Cliff Cemetery in Cannelton.